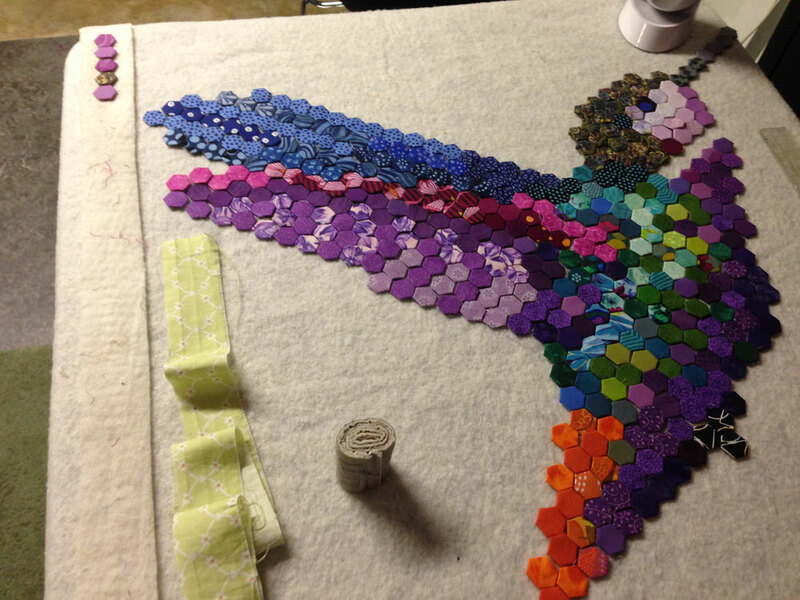 I’m just about ready to start stitching my new hexie hummingbird design, and I thought I’d share how I take my hexies to-go with me so I can work on piecing anywhere! 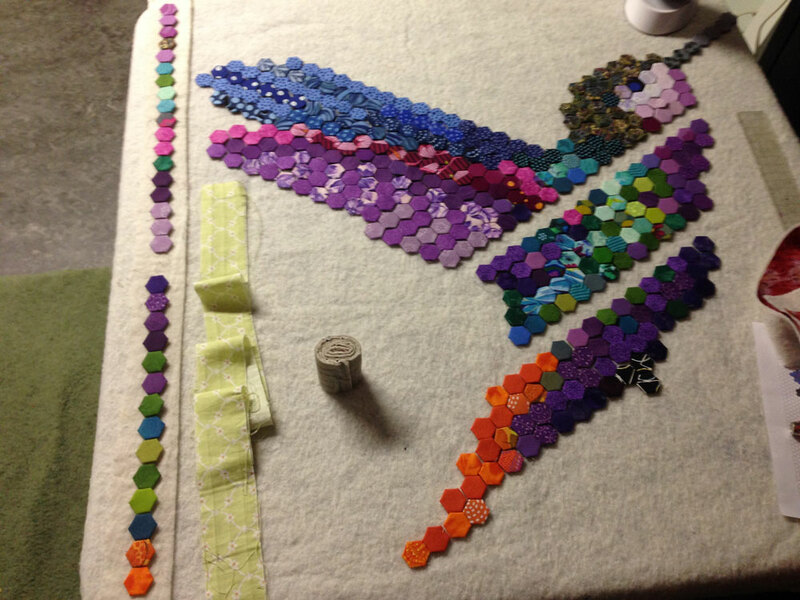 I physically layout my whole design before starting to stitch. 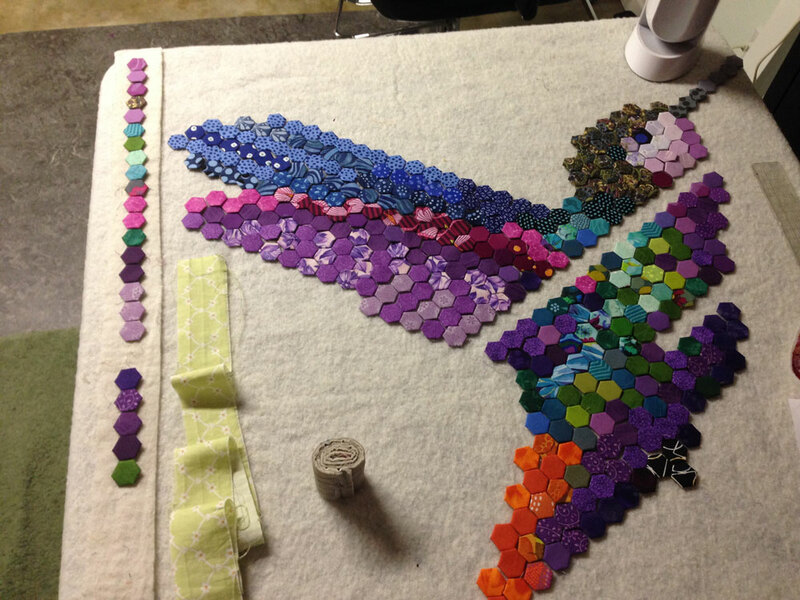 That means you need to have a layout space large enough for your project. 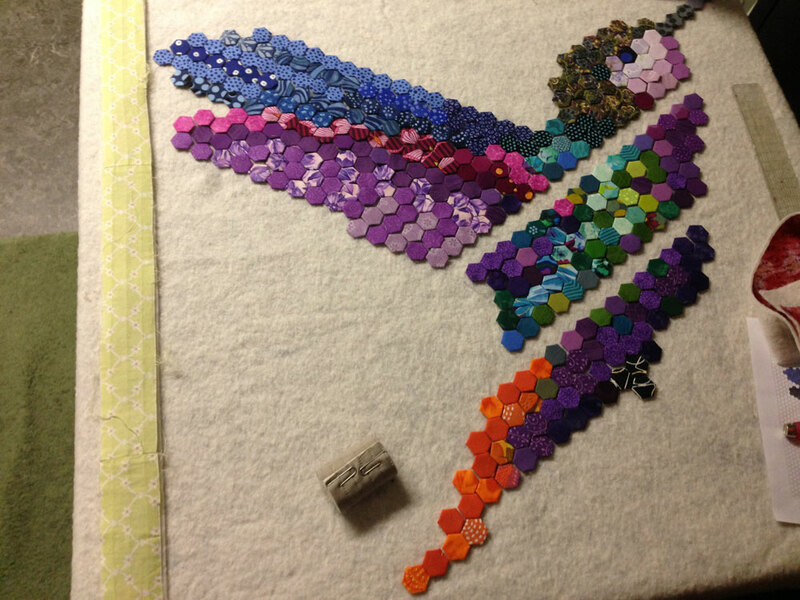 The hummingbird is on the smaller side, so it fits on card table. 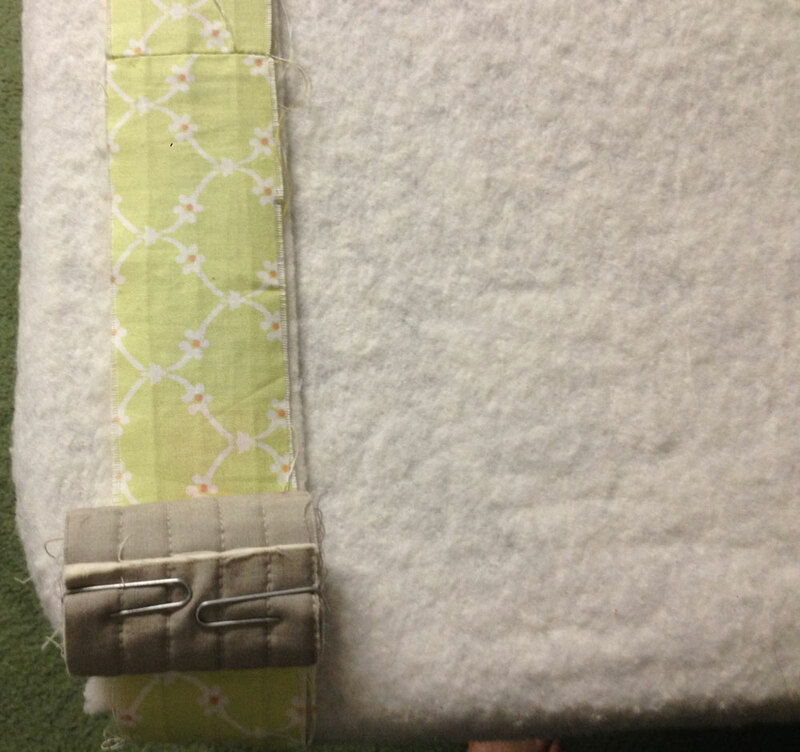 For other projects I’ve used a 4′ x 8′ piece of foam insulation covered in batting and rested it on a table top. 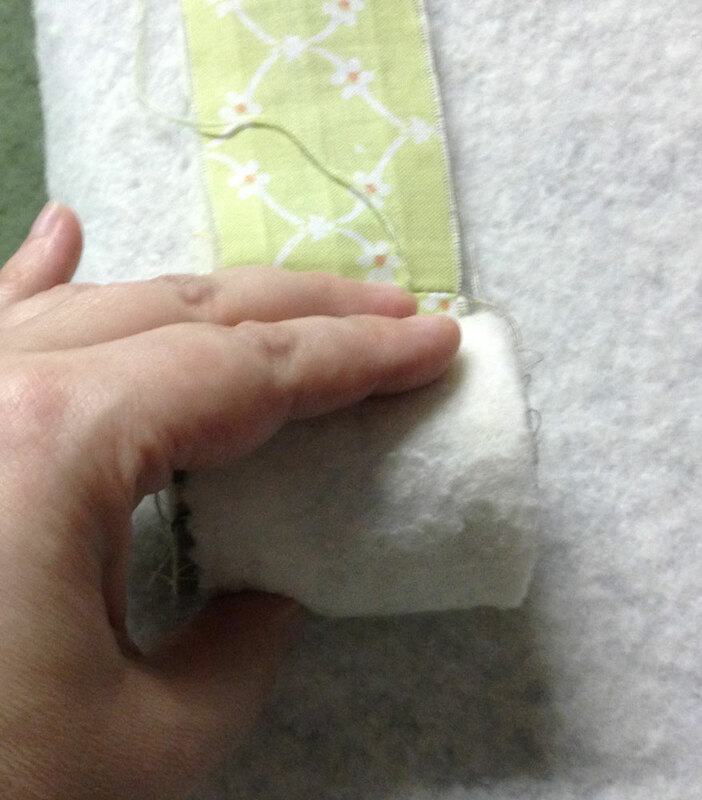 The scrap of practice quilting should be the same width as the fabric and batting. 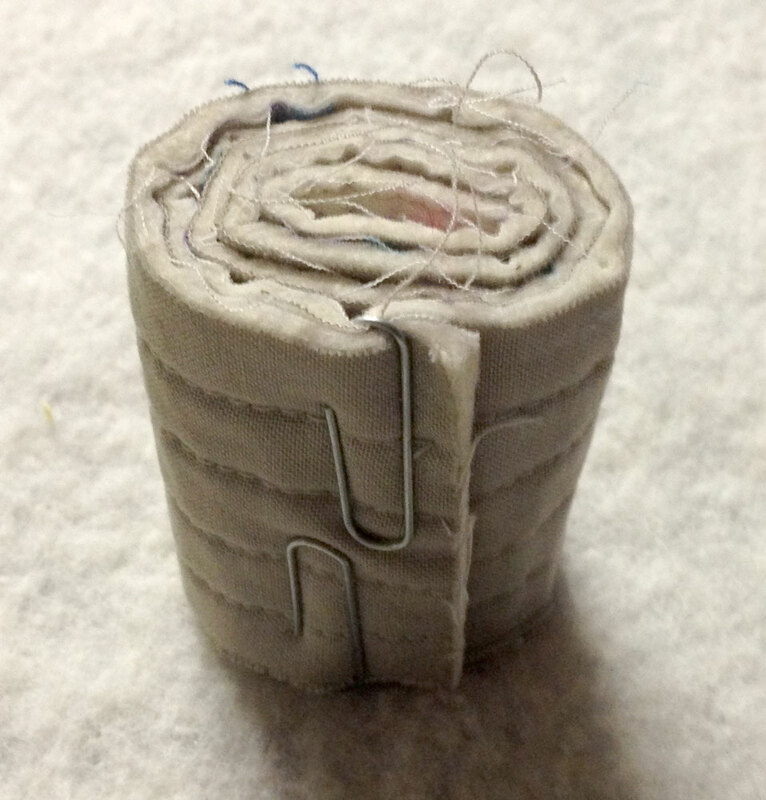 Roll it up and secure it with paper clips. 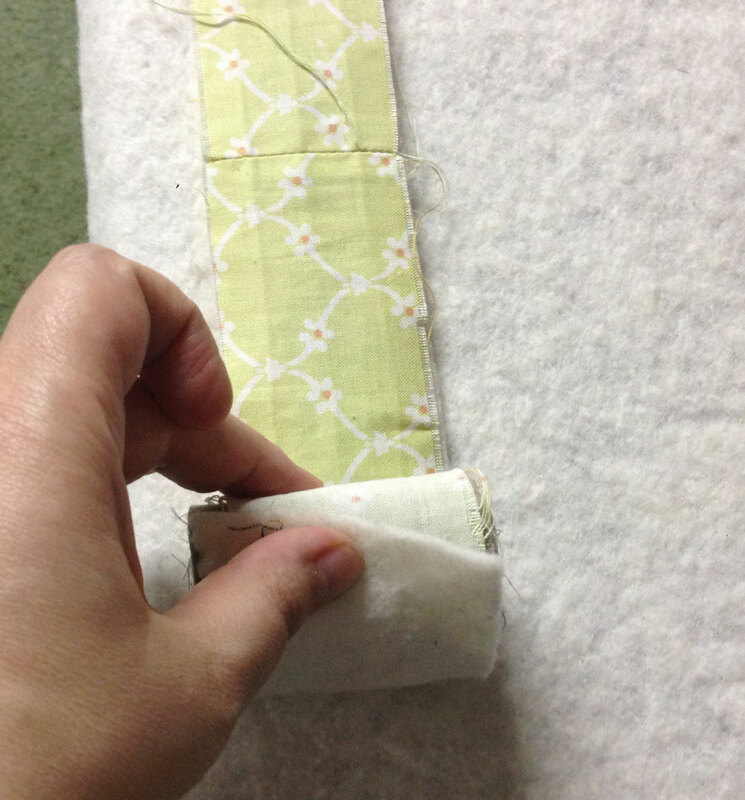 Leave a little space between separate rows, so you don’t accidentally sew them together. 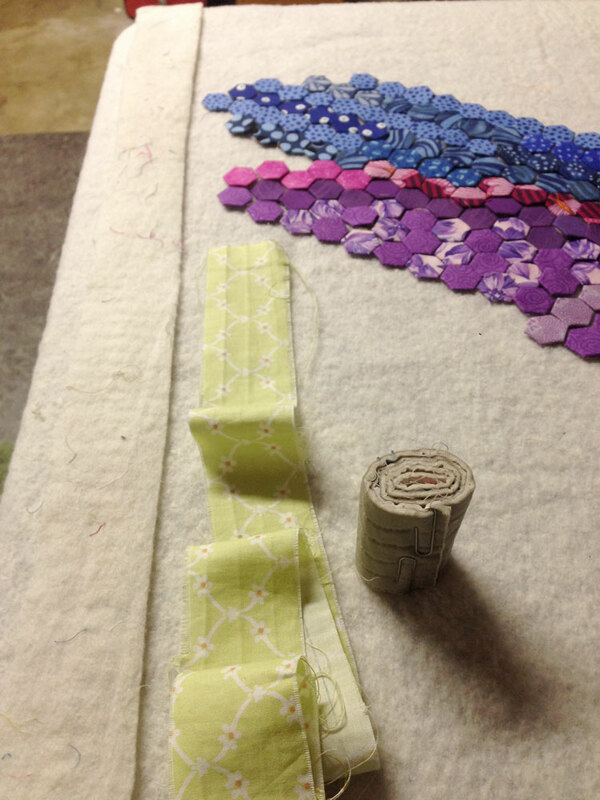 When you run out of space, lay the strip of fabric over the hexies. 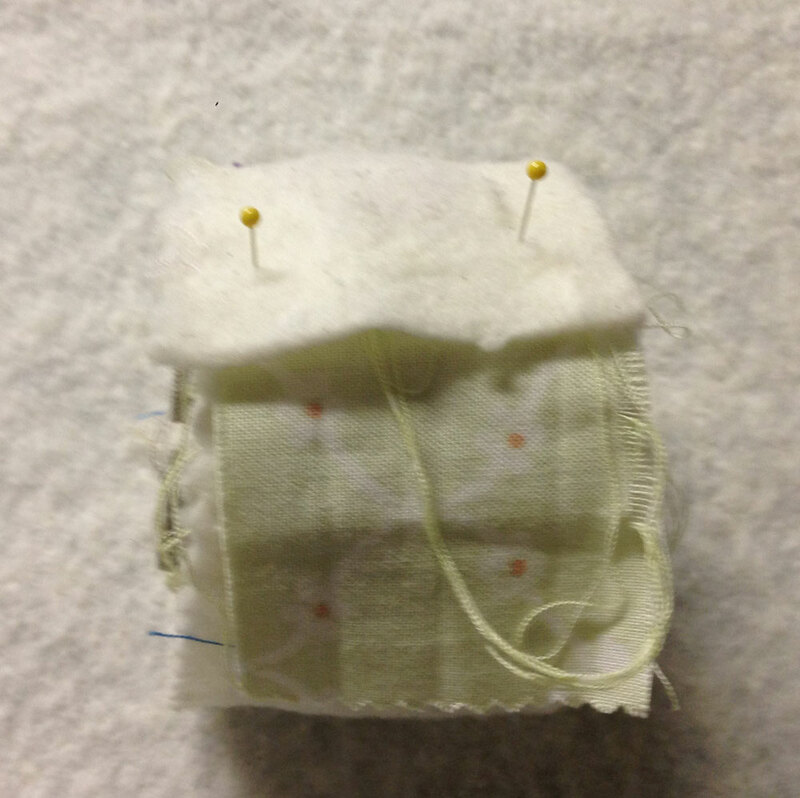 This piece of fabric will keep the hexies from sticking to the backside of the batting. 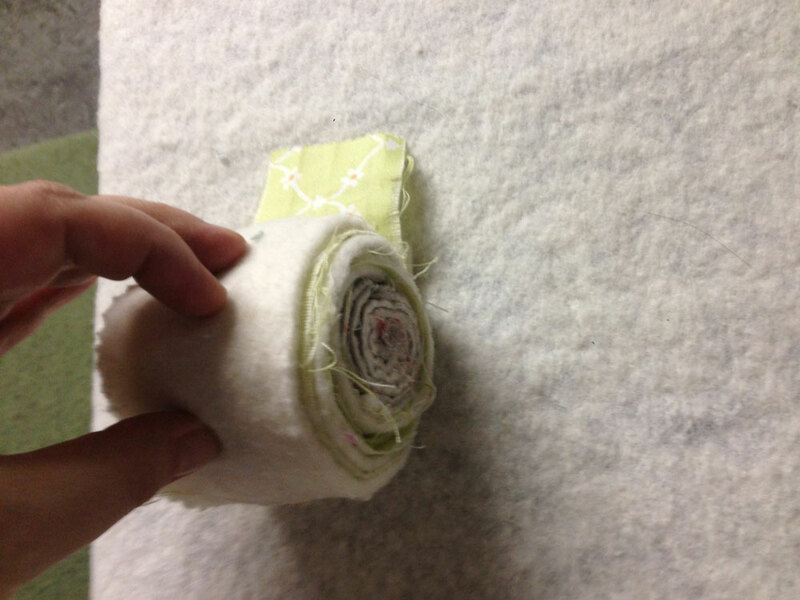 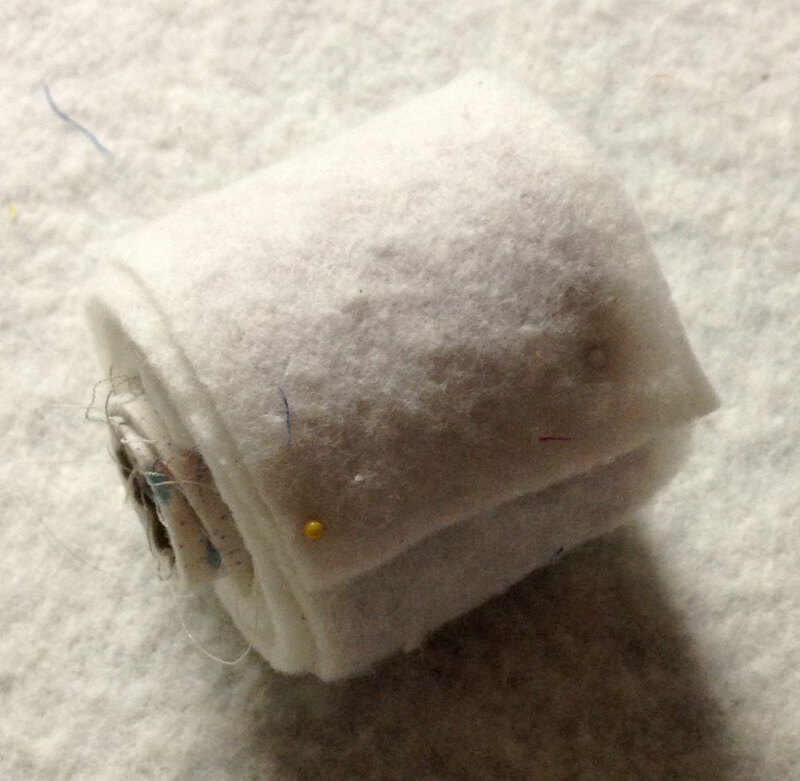 From here, take the pre-rolled quilted scrap and place it on the end where you just ended your layout. 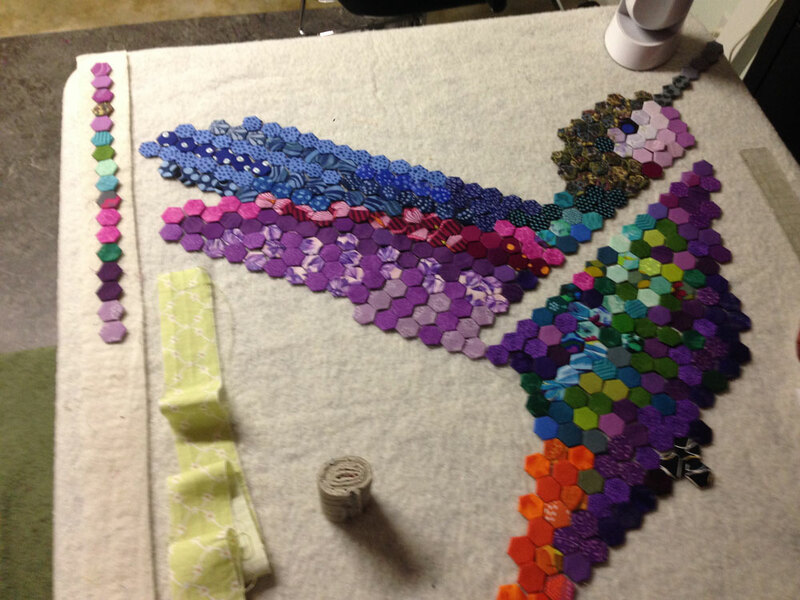 This piece will keep your hexies from getting bent in the roll. 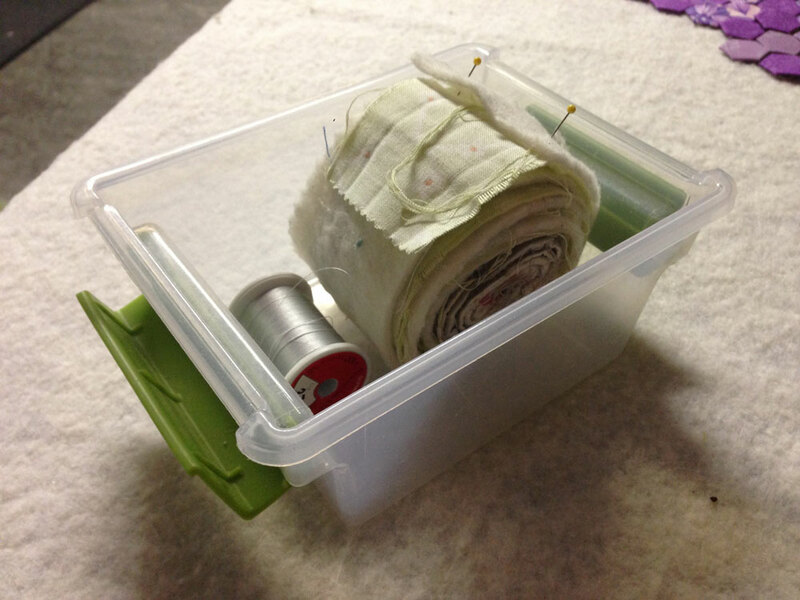 Lay the batting over the edge of the container and pull as you need – it’s sort of like a Pez dispenser for hexies! 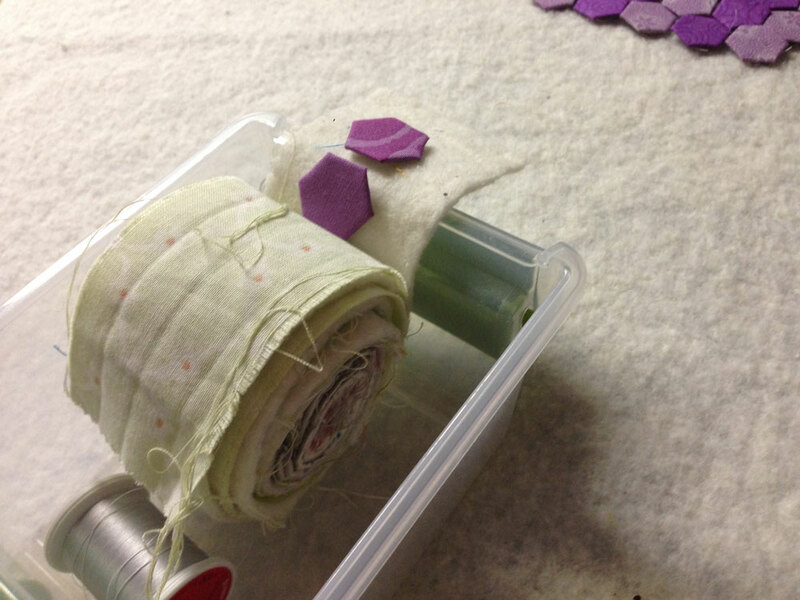 It’s a great way to sew in rows and keep all your hexies exactly as you had them laid out. 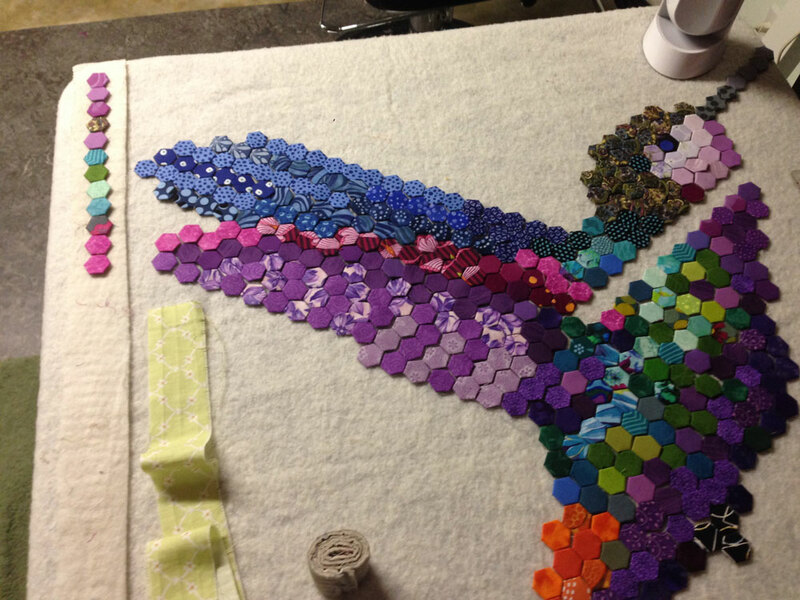 Once you have a completed row stitched up, you can lay it back on your design table, and start on another row. 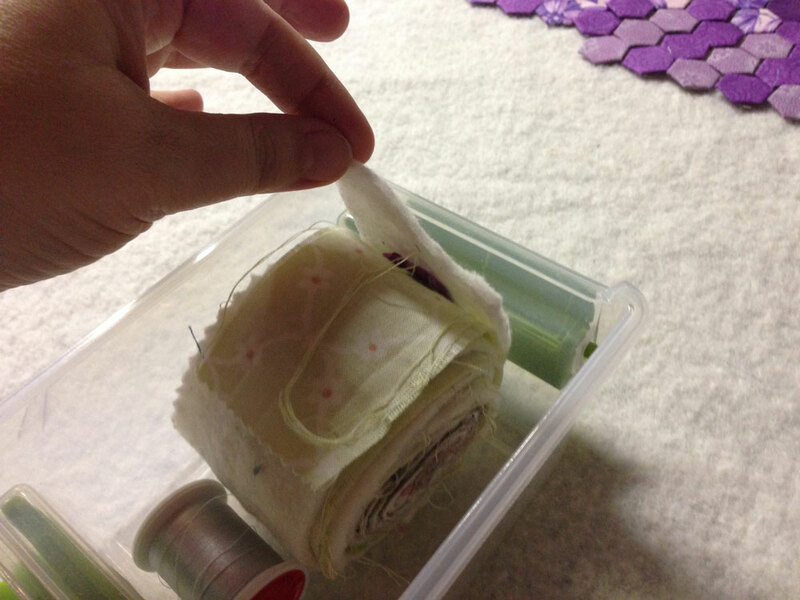 If you try this little hexie-dispenser idea, please let me know how it works for you! 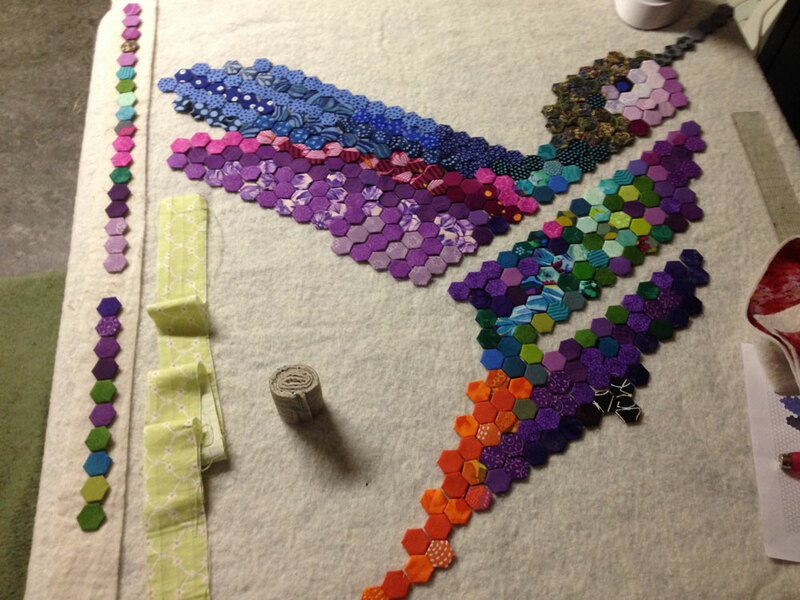 Previous PostPrevious Hexie Hummingbird – Start!